The area will be well represented at the IHSAA Softball State Finals next weekend thanks to Bremen and South Bend St. Joseph. The No. 1 ranked Lions and the No. 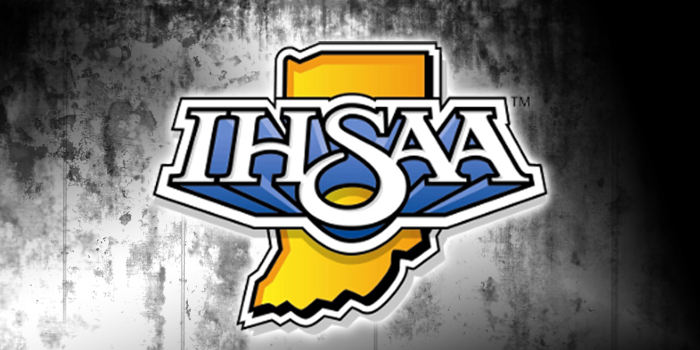 4 ranked Indians each put on impressive displays Saturday to claim semistate championships. Bremen blanked No. 5 Tipton Saturday night in the title game of the Class 2-A LaVille Semistate at Newton Park in Lakeville. The Indians shut out Knox 7-0 in the championship game of the Class 3-A Twin Lakes Semistate. Bremen got a three-hitter from Kaelyn Shively in the championship contest and another huge performance by star Erin Coffel. Sophomore Coffel, who has committed to Kentucky, based her 22nd home run of the season in the win. She finished with three hits. Bailey Fritter had three hits and three RBI for the Lions. Bremen beat Andrean 13-1 in the semifinal game Saturday. Coffel had two homers and five RBI. Tipton blanked No. 3 Whitko 1-0 in the other semifinal. The Wildcats were making just their second ever semistate appearance and second in two years. St. Joe got another premier pitching performance from Lauren Sandor to claim the program’s first semistate title. The sophomore fired a two-hitter with 15 strikeouts to lead coach Earl Keith’s team. Sandor, who is now 25-5, had 25 strikeouts and allowed a total of just six hits in two wins Saturday. She had a four-hitter with 10 punch outs in a 3-0 semifinal win over Fairfield. Fairfield finishes its season at 19-8. Knox upset No. 2 ranked Bellmont 2-0 in the other semifinal at Twin Lakes. No. 10 Penn saw its season end with a 2-0 loss to No. 2 Lake Central in the semifinals of the Class 4-A Harrison (West Lafayette) Semistate. Alexa Pinarski fired a three-hitter for Lake Central, which went on to win the semistate title Saturday night. Ryleigh Langwell had two hits for Penn, which was in the semistate for the fifth straight year. Mackenzie Griman took the pitching loss despite throwing a four-hitter. Penn, which crushed Concord in the regional, finishes at 21-7. The State Finals are set for next Saturday at Purdue University. Pioneer (31-3) plays North Central of Farmersburg (23-6) at 10:30 a.m. in the Class 1-A finale. Bremen (26-3) meets Speedway (21-6-1) at 1:30 p.m. in the Class 2-A title game, St. Joe (25-5) squares off with New Palestine (29-1) at 4:30 p.m. in the Class 3-A championship contest and Lake Central (29-4) meets Decatur Central (31-4) in the Class 4-A final at 7:30 p.m.